Nearly every parent looks forward to the day when they’ll become a grandparent. The idea of taking care of, loving, and bonding with a new addition to the family is definitely something to look forward to. Unfortunately, as close as you become with your grandkids during their childhood years, things can take a sudden turn when they enter the teen years. Before you know it, talking to your grandchild is increasingly difficult. They don’t understand you. You don’t understand them. It can be extremely disheartening. 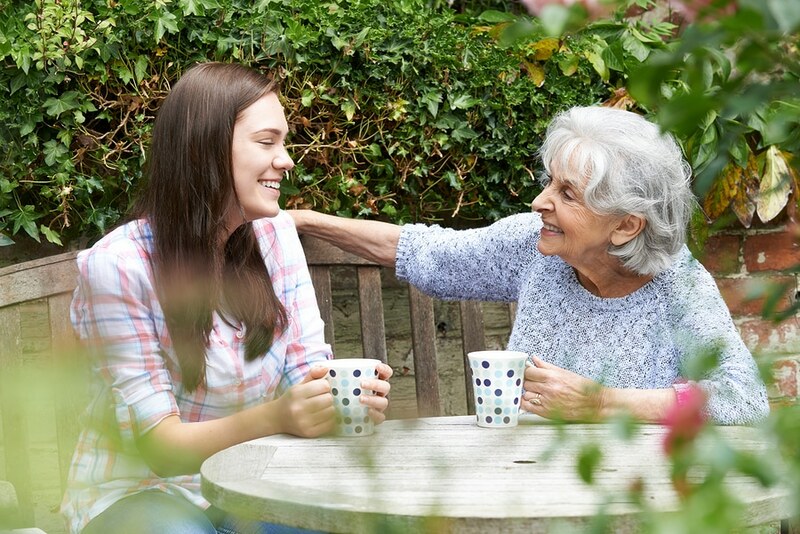 But because the grandparent-grandchild relationship is such a special one, and because open communication is vital during adolescence, it is imperative that you don’t give up trying to talk to your grandchild. Is communicating with kids really that important? Definitely! And talking to teens is especially important. Here’s why. The teen years are difficult ones. Hormones are raging and teens don’t feel understood by anyone. Having regular, open communication with your grandchildren is a wonderful way to show them that someone does, in fact, understand them. At this point in their life, they may feel like the only people who understand them are their fellow teens. But this isn’t always the best communication to have. Yes, we want our grandkids to have friends, but they also need the listening ear of someone who has some life experience. Grandparents are generally considered a neutral, nurturing source of love and understanding. This is a hard one for most parents, as you’ll likely remember. In fact, even though your children are grown, it’s probably still difficult for you to not view them as your “little” son or daughter. Now imagine going through that as a teen. Teens feel like their parents want to keep them young for as long as possible. Therefore, it might not feel like they have the freedom to truly express themselves. You can help both your adult children and your grandchildren in this situation. Your kids will appreciate that their child is opening up to someone – even if it isn’t them. And your grandkids will feel like they can truly be themselves with you. Would you like to know how to talk to your grandchild? Talking to teens isn’t always easy. You need to know how teenagers communicate and know what they need from you in order to communicate effectively. Here are three simple steps you can take to open up the doors of communication between you and your grandchild. The goal of communicating with your grandchild is to let them know that you’re interested in what they have to say. Once you do that, they’ll be more open to sharing their deepest thoughts and feelings. Neither you nor your grandchild should try to converse when there’s anger involved. Anger will simply lead one or both of you to say something you’ll regret. Make sure you’re both in a calm mental space before you converse. Also make sure to let your grandchild know that you’re no longer upset and that you want them to open up so that you can understand what they’re thinking or going through. It’s so easy to get distracted or feel like you’re too busy to listen to every single word a person has to say. But if that person is your grandchild – it’s imperative that you let them speak. Don’t try to finish their thought or their sentences for them. Doing so will shut them off right away. Simply listen to them. That’s what they need the most. Communication with anyone can be difficult at times. Add to that the hormones, awkwardness, and confusion that teenagers are dealing with, and the idea of communicating can seem overwhelming – to you and to them. But putting forth the time and effort to learn how to talk to your grandchild is well worth it. You’ll develop a special bond that not everyone gets to enjoy. And the love between the two of you will be something that you’ll both view as something beyond precious. If you’re having difficulty communicating with your grandchild – don’t despair. All it takes is some time, effort, patients, and love. Before you know it, you’ll have the relationship you’ve been longing for with your grandkid.